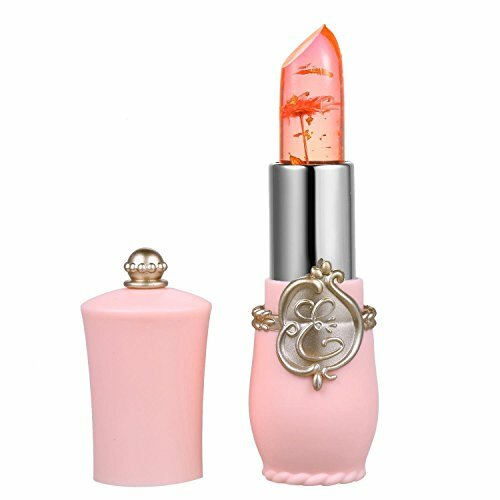 ThinIce Women's Waterproof Fruit Lip Stick Temperature Change Color Moisturizer Cosmetic Lipstick by ThinIce at Angels Touch Vegas. MPN: DDLP031346_1. Hurry! Limited time offer. Offer valid only while supplies last. Height: 7 cm/ 2.8 inch Effect: Temperature Change Color Ingredient: Dibutyl Lauroyl Glutamide, Dibutyl Ethylhexanoyl Glutamide, Polyisobutene etc. Ingredient: Dibutyl Lauroyl Glutamide, Dibutyl Ethylhexanoyl Glutamide, Polyisobutene etc.